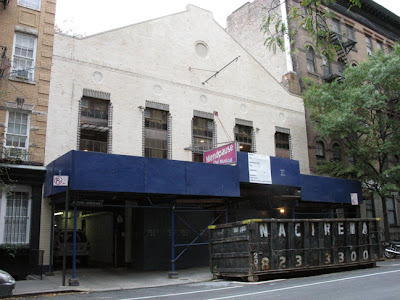 Playhouse 91, a 299-seat theater, was built in 1980 in a former stable and ice house. 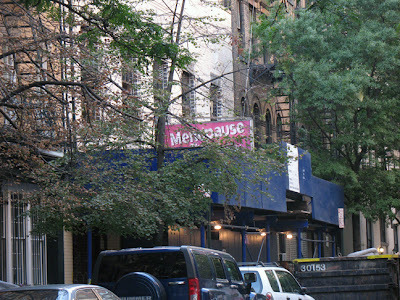 It hosted various theater companies over the years staging productions such as Arthur Miller’s After the Fall, Spook House, A Bronx Take, and The Syringa Tree. Some notable actors who performed there are Harvey Fierstein, Chaz Palminteri, and Frank Langella. Menopause, The Musical, Playhouse 91’s last production, ran for four years. This is my investigation into why Republicans are Republican. Since most people I know, and therefore, for now, most of the readers of this zine, will be ultra-liberal, even Socialist (yes, even one Communist), it seems fruitless to write some Bush-bashing piece that would preach to the choir. And since most of us are actually baffled by Republicans, I decided to lift some of the veils of mystery and get some honest answers as to why someone would be a Republican and/or support Bush. Just for a start, I have interviewed two highly-educated Republicans who by coincidence happen to both be Harvard graduates from the Upper East Side. (They dont know each other.) However, they have very different reasons for belonging to their party. Let’s see what their beliefs and opinions are on a few current issues.